All I can say about Swell Crate is LOVE IT! When I opened my first Swell Crate, I grinned from ear-to-ear like a kid at Christmas. First, it sent aloha vibes – with surf wax and artisanal soaps perfuming the air. Secondly, it’s the perfect mix of products that both male and females can appreciate. And lastly, it’s hails from Brooklyn, NY… so what’s not to love? I talked with Swell Crate’s founder, John Peabody, to find out how he started surfing, the inspiration behind Swell Create, and where he sees the company in five years. I’m a journalist and photographer. I blog at the Hand & Eye and write for a bunch of other publications as well. I live in Brooklyn and like so many people here, I wish I was at the beach surfing way more than I am. 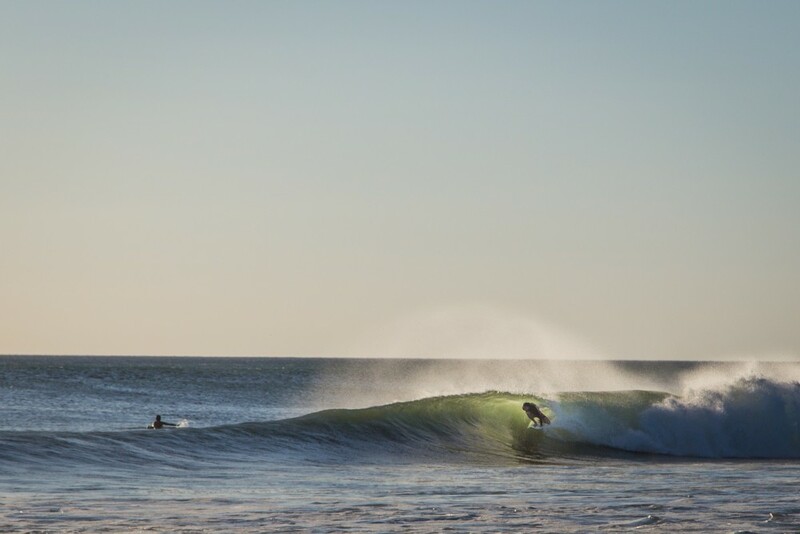 How did you catch the surf bug? My first job out of college was at a newspaper on the Central Coast. I was a whitewater kayaker in college in Colorado, but I grew up in Massachusetts and always wanted to learn to surf, so when I moved to California, I bought a 7’8” funboard and just went at it. I learned at Cayucos and Morro Bay. I was lucky because I all ready understood the water and how it moves, I just had to learn to paddle and get up. It sounds cheesy, but the most relaxed I ever feel is when I’m in the water or when I just get out. There’s really nothing better. 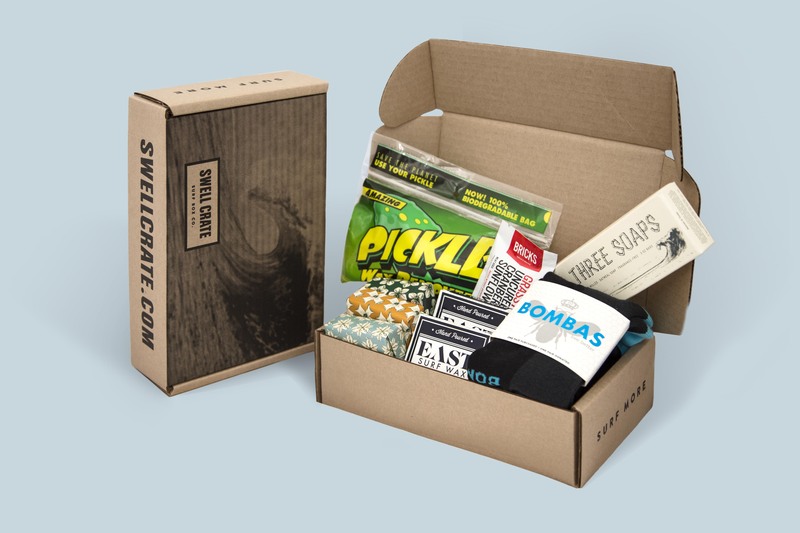 What inspired you to create Swell Crate? I created an online shop on the Hand & Eye where I sold some collaborations with other NYC-based makers. It was great and well received. Cool Hunting did some stuff on us and I just had this realization that I really liked curating a small shop and sending people cool, well-made products. I saw there was no one doing this specifically for surfers and I thought there was a niche that could work for a small business. How do you decide which products to include in the crate? I’m trying to strike a balance of products that are useful in and out of the water. Everything has to be quality and I test everything out first. I’m really not interested in sending people crap. I want subscribers to get these boxes and be a little surprised and totally psyched about what’s inside. So for example we have fin keys, which are like pretty basic boring little items, but I tied a piece of cord around them that can be used for a leash loop in case yours breaks, and also, so hopefully you don’t lose them as easily. It’s a basic tweak, but I think people will appreciate it. 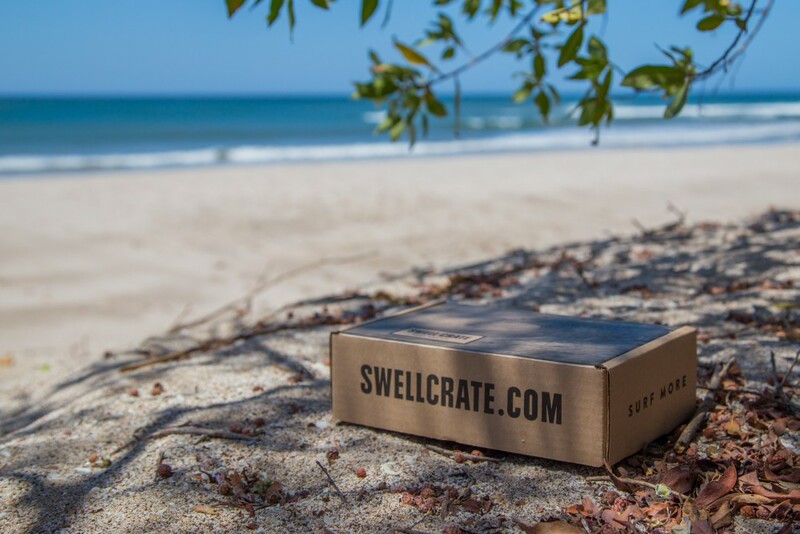 Where do you see Swell Crate in the next five years? I want to keep it small, but I’d love to do some collaborations with brands I like and also create some of our own products as well. I have some ideas but I don’t want to divulge too much right now. But I’ll just say in five years, I want to keep curating a boxes of really well-made products that surfers will be excited to receive each season. That’s the goal! Thanks so much for talking with us, John! And check out SwellCrate.com and send someone you love a gift you know they will love!